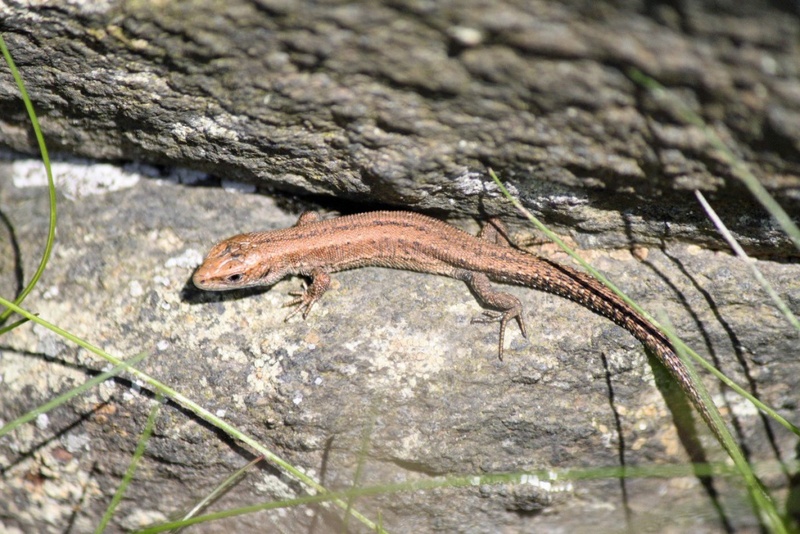 Total length: 13-15 cm. 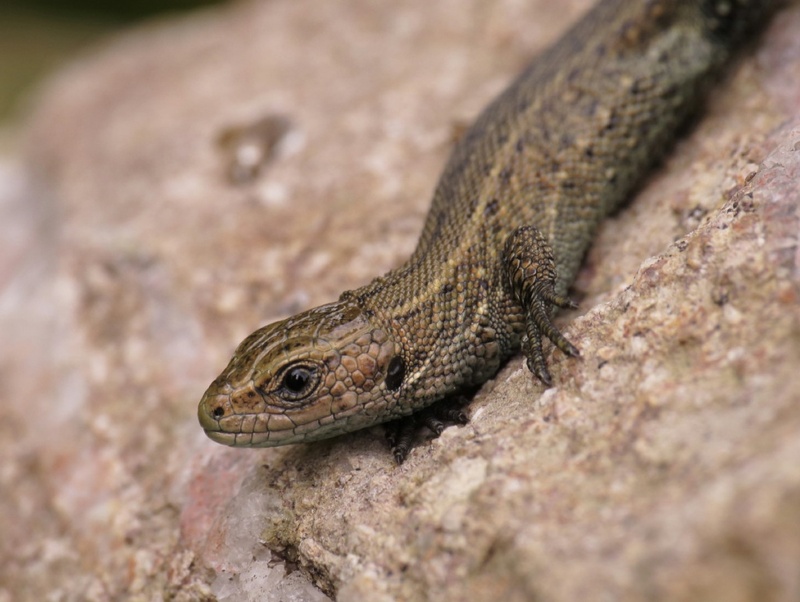 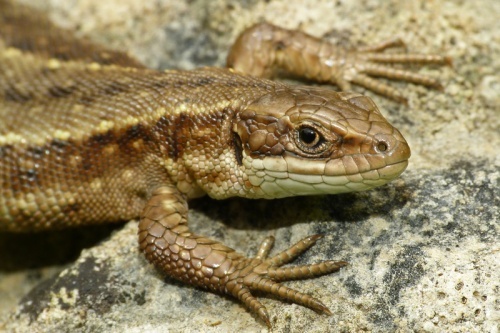 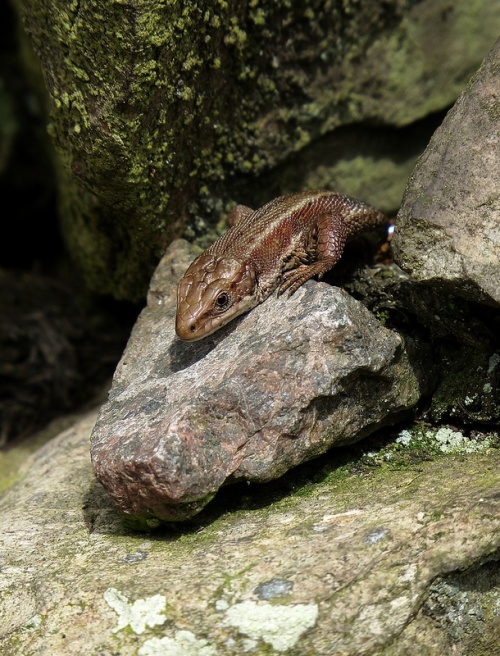 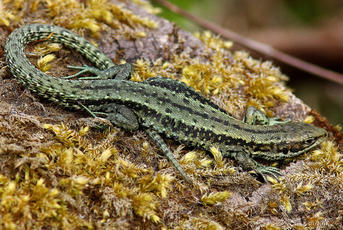 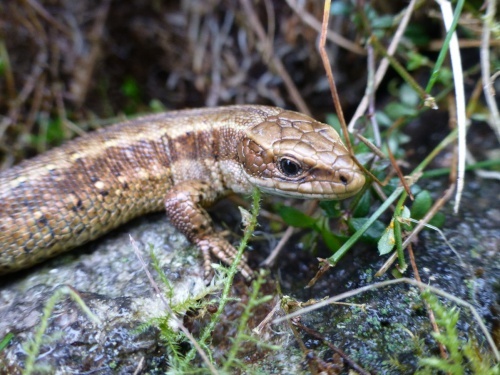 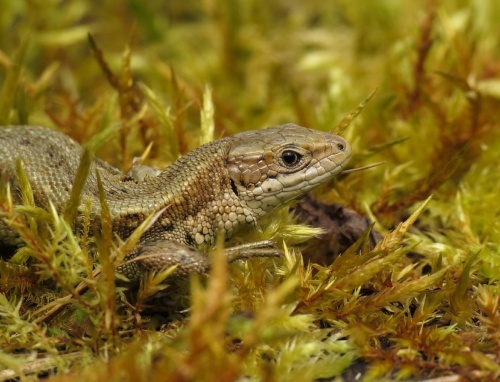 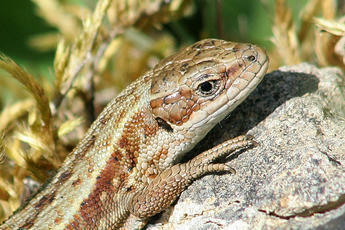 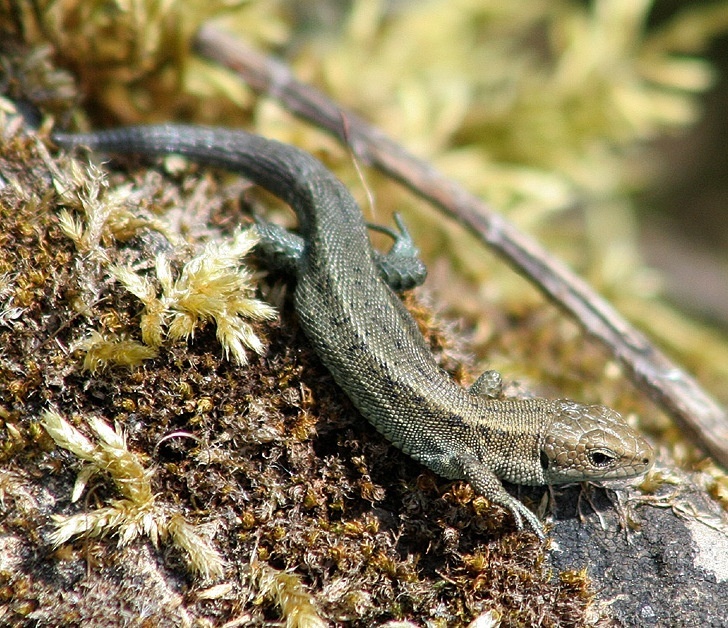 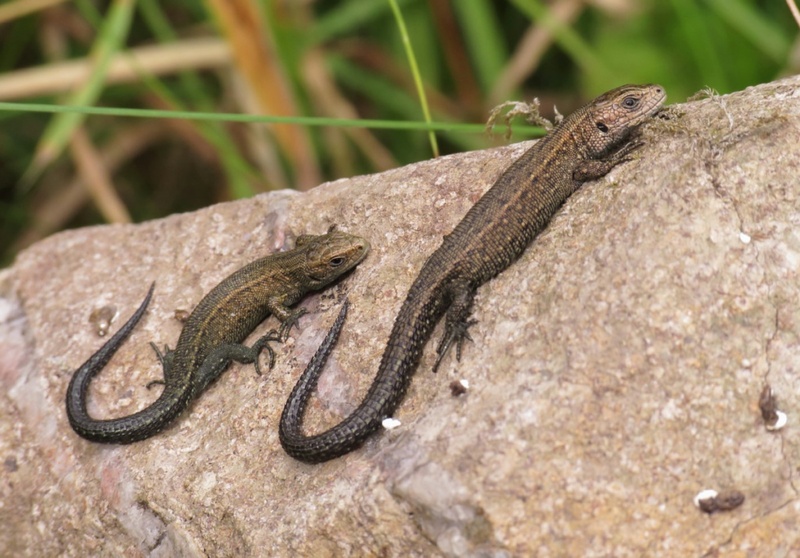 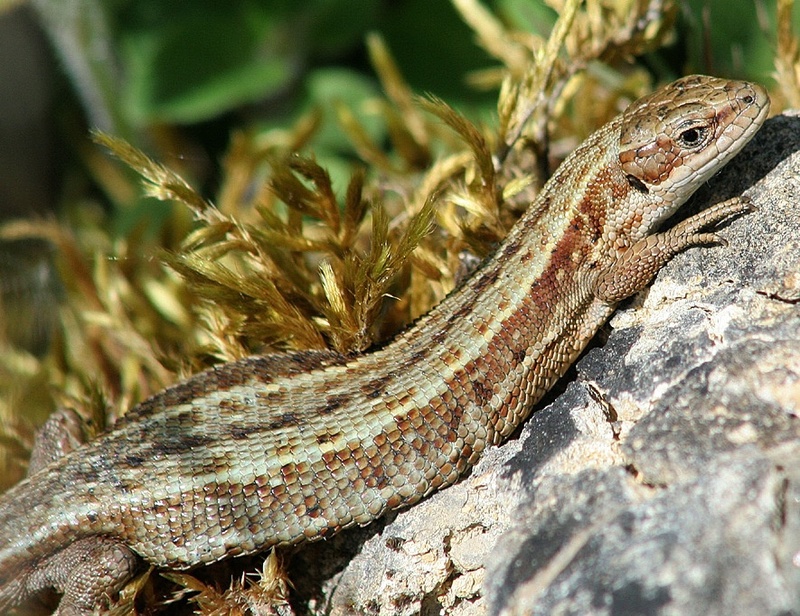 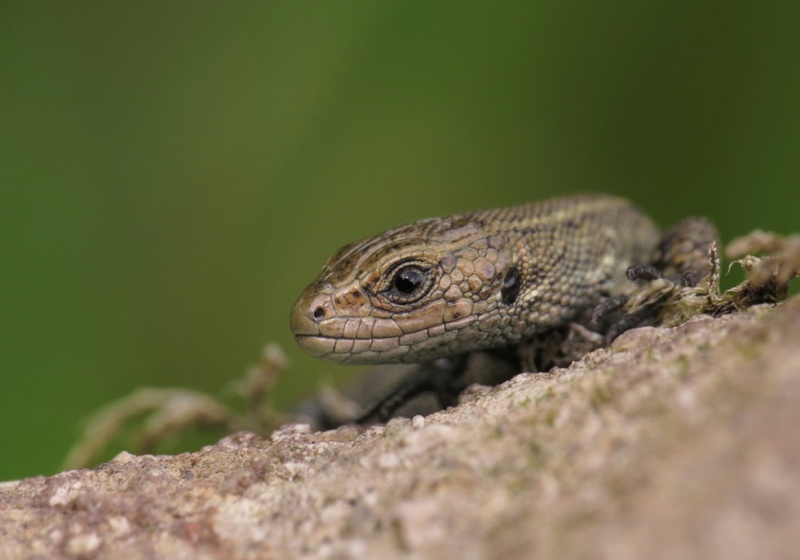 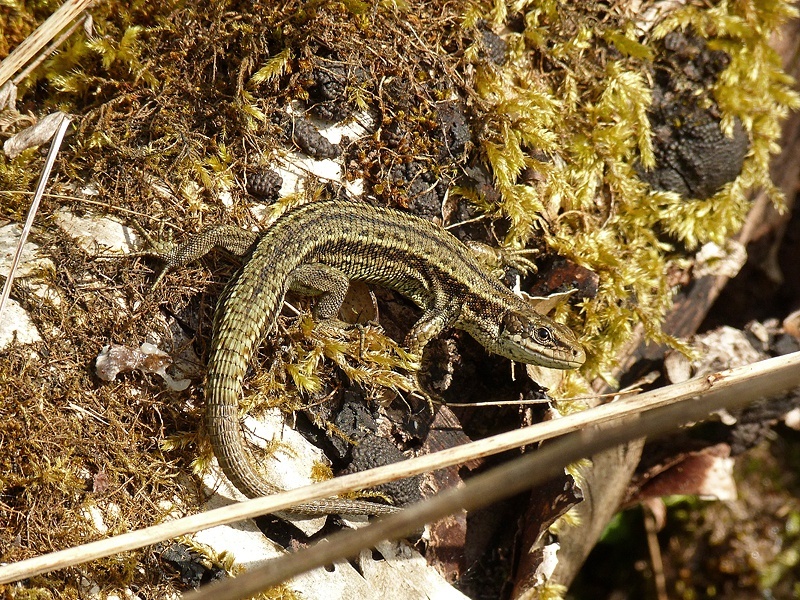 One of Britain's three native lizards (along with Sand Lizard and Slowworm). 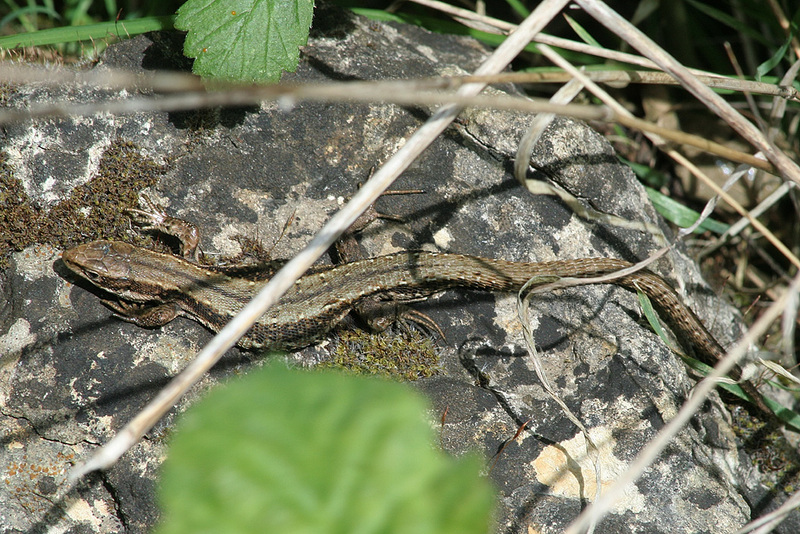 They are variable in colour. 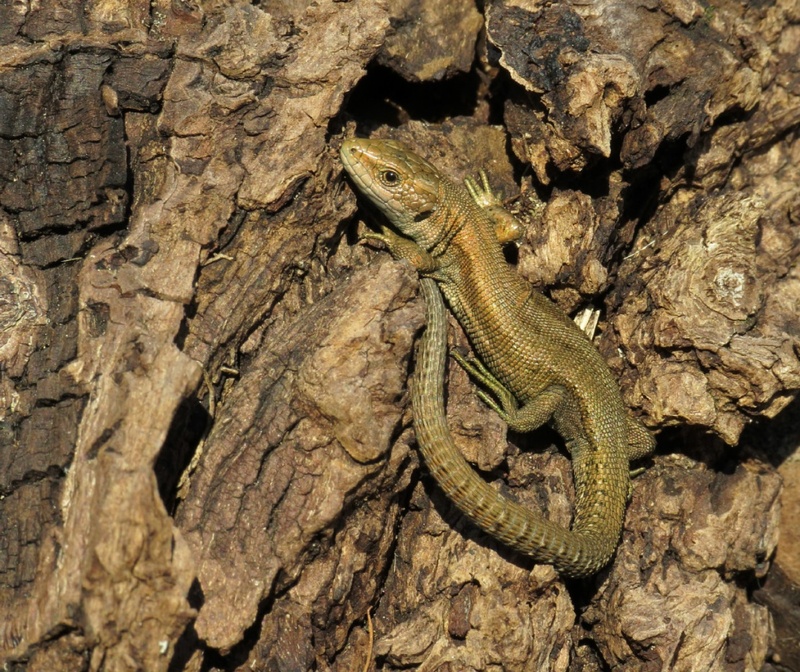 Typically, the upper-surface is brownish, with lines of darker markings passing along the back which are often bordered with white or yellow. Males have bright undersides, typically yellow or orange in colour whereas, in contrast, females tend to have much duller, pale underparts. It is found at a variety of habitats such as heaths, woodland glades, railway embankments and even gardens. 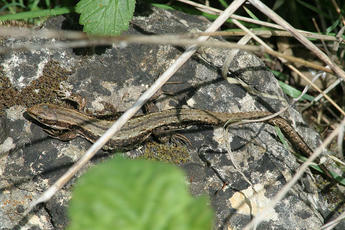 Early spring to late autumn. They can often be found basking, particularly in spring. They give birth to around 6-10 live young (or at least the egg sac bursts at birth), hence their alternative name 'Viviparous Lizard'. 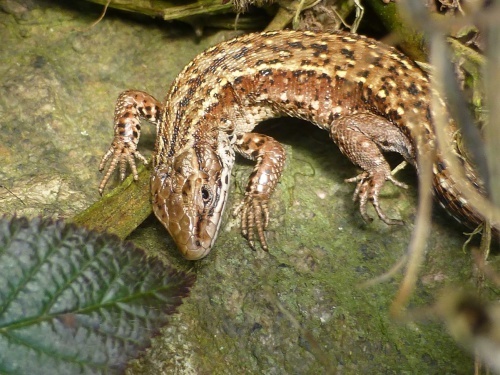 This species is fairly common and widespread throughout Britain. 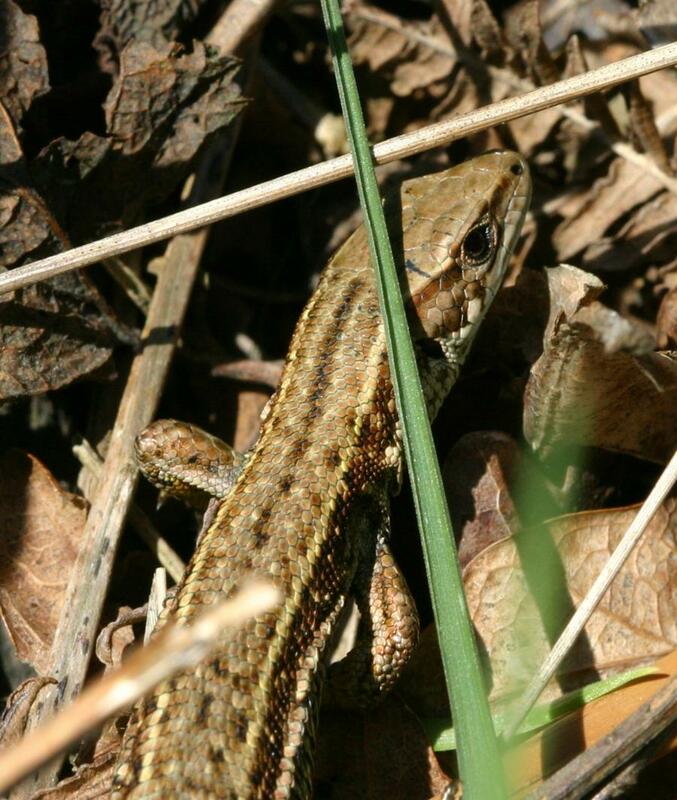 Uncommon in Leicestershire and Rutland, but fairly widely scattered across Charnwood Forest and Rutland with a few records in West Leicestershire.